Festus, MO—St. Pius X High School announced today that Jerry Woods has resigned as head coach of the Lancer football program after 13 years at the helm. Currently the longest tenured coach in the I-55 Conference, Woods and the Lancers are coming off their best season in recent history. In 2018, St. Pius X went 8-3 and won a thrilling district playoff-opening game over Kelly 18-14 before ending their season at Charleston in the second round. 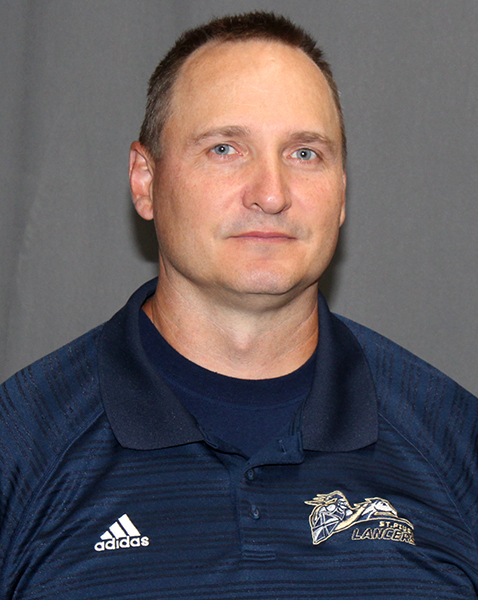 Woods, who will remain at St. Pius X as a faculty member and also as head coach of the baseball team, spent 18 years on the Lancer gridiron staff, the first five as an assistant to Rick Overberg. Athletic Director Tilden Watson said the search for a new head football coach will begin immediately. Media inquiries—please contact AD Tilden Watson at twatson@stpius.com or (636) 931-7487 ext. 103. St. Pius X High School is proud to announce the following MSHSAA programs at SPX have earned MSHSAA Scholastic Achievement Award recognition for academic excellence during the fall semester of 2018. Each year, the Annual Catholic Appeal (ACA) brings Catholics throughout the Archdiocese of St. Louis together to answer the Gospel call of Christ to serve others. In an effort to share the good news about the Appeal’s impact in our community and to promote the involvement of our young people in the life of the local Church, Archbishop Robert J. Carlson and the Annual Catholic Appeal Council invite any junior who attends a Catholic High School in the Archdiocese of St. Louis to participate in the 2018-2019 ACA Essay Scholarship Contest. 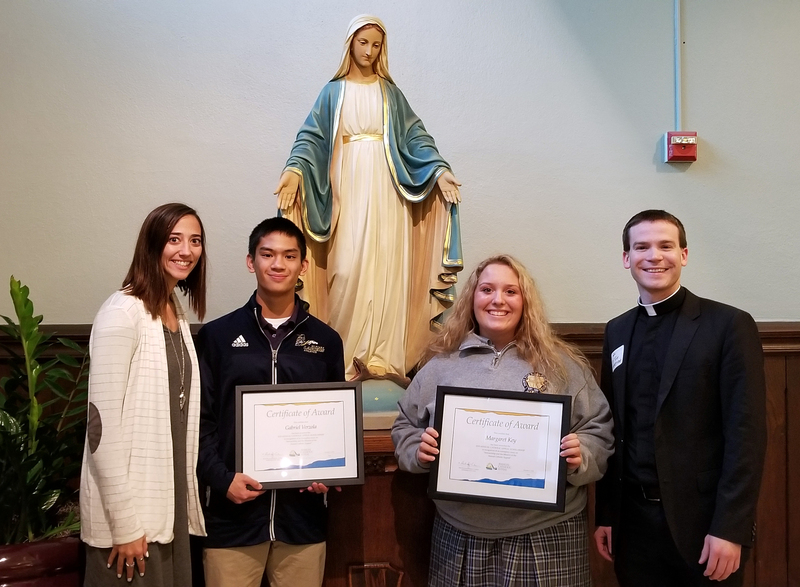 Congratulations to Gabriel Verzola, Margaret Key, and Gabrielle Werner, St. Pius X High School students who were named scholarship winners in the Annual Catholic Appeal essay contest. A special reception with Archbishop Robert Carlson was held on Wednesday, December 5 to honor the recipients. Pictured here are Ms. Tori Aubuchon, Theology Faculty, Gabriel Verzola, Margaret Key, Fr. Voltriede, Chaplain (not pictured Gabrielle Werner,). Show Me Weights, based in Fenton, MO., held a contest for Missouri and Illinois high schools to win $8,000 worth of all-new, state-of-the-art fitness equipment for their weight rooms. St. Pius X High School students Hannah Schappe and Eleanor Fehlker Campbell created and submitted a video showcasing why St. Pius X deserves to win. Video submissions were judged on their creativity, style, originality, and school pride, along with the greatest number of votes received from a social media campaign. In a Facebook Live video from Show Me Weights on Monday, December 3 St. Pius X High School was announced as the first-place winner. Equipment and funding for the contest are being donated in part by sponsors, including Show Me Weights, Apollo Athletics, Atlantis Strength, Iron Bull, and Fit City. I am delighted to share some great news! St. Pius X High School has been awarded a grant by the Jefferson Foundation. Their primary mission is to provide support for charitable and educational activities that promote individual and community health and well-being in Jefferson County. This grant of $198,898 is to be used for a new Wellness Center at our school. This new building will be in the grassy area between the boy’s locker room and Fr. Dalton Memorial Stadium. Planning is well underway and, weather permitting, we look forward to an early spring 2019 groundbreaking ceremony. Please stay tuned to our social media channels for future updates.